family and conquer the galaxy for a night of fun! 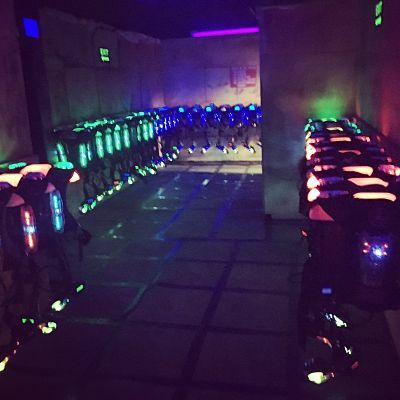 Fun Center provides an enchanting and personalized laser tag experience for up to 24 players. laser tag scenarios – play good vs evil, practice your technique, or win as the last man standing. guide your quest, the Enchanted Forest laser tag is fun for everyone! features. Parents can even watch from the various screens and feel like part of the game. game, so players have a lot of time to get used to the arena and become a part of the game! features a briefing room and a separate vesting room, allowing for a great guest experience. party or special event, Scene75 is also able to accommodate in advance through its party office. to deliver a great time for all players involved! 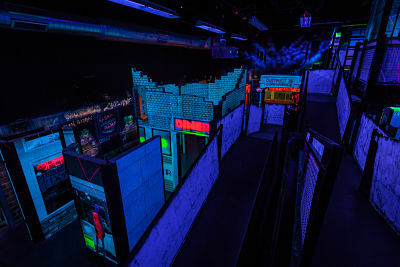 partner and bring your ‘A’ game to one of these 5 arenas for a fantastic laser tag experience!